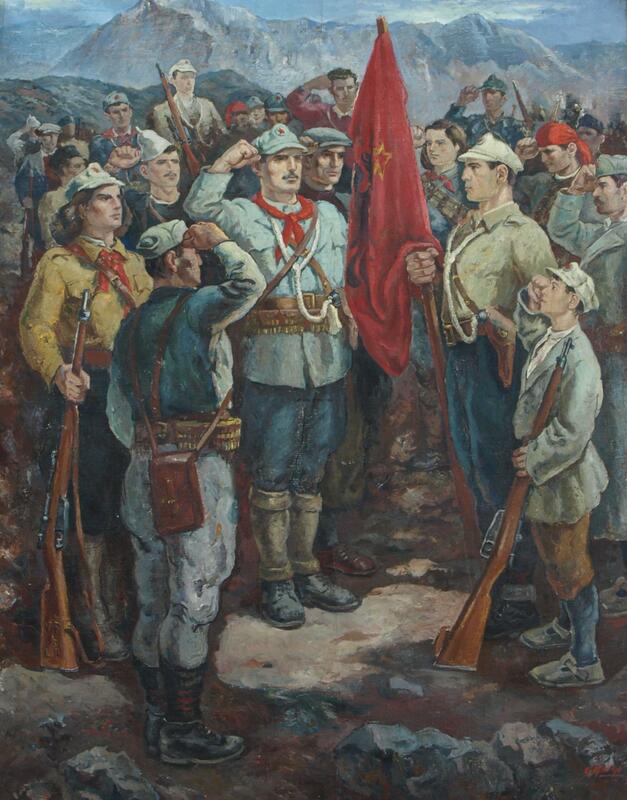 This page seeks to provide readers access to the History of the Party of Labour of Albania. Initially this will be confined to Chapters 1 – 5, which covers the period from 1929 to 1960. We have access to another 5 Chapters of the History which takes the story up to 1980 (we don’t know if there were any other chapters produced in the later years of the 1980s) and plan to place them on this page at some time in the not too distant future. Click on the images below to be taken to a downloadable pdf. Sorry the files are quite large, please be patient when downloading. The link below will take you to the full version of the History of the Party of Labor, 2nd edition, which was published in 1982. This has been created as a pdf by the Comrades at www.enverhoxha.ru and I thank them for their work. The second edition of the «History of the PLA» covers the activity of the Party up to 1980. Apart from this, the first edition has been re-edited, making a number of minor alterations which do not affect its structure or general content. The changes comprise some abridgments and corrections made on the basis of documents. 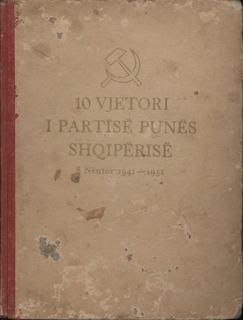 A very early book on the history of the Party of Labour of Albania, published in Prague in 1951. 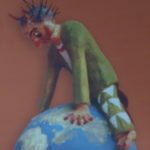 It has text in three languages, Albanian, Russian and English. Interesting especially for its collection of photos from the national Liberation War and the first years of Socialist Construction. I actually own this; it came in the form of two small books and ended in 1960. 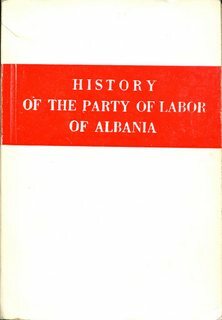 There were no additional small books to my knowledge, though, they simply re-released it as one single English-language “History of the Party of Labor of Albania” in 1971 which incorporated the earlier chapters while adding the rest of the 60’s to them. In 1982 a new edition (with “Labour” instead of “Labor”) was released which extended the history into the 70’s to cover the 7th Congress of the PLA, adoption of the new Constitution, and the Sino-Albanian split. There were no newer editions after that, in Albanian or otherwise. I think the two small booklets were part of an abandoned project, and that they simply realized there was no need to divide the party’s history into multiple small books, so they went with a more attractive one-volume hardcover work incorporating all of it (which was also what they had in Albania, the English-language history being a translation of the “Historia e Partisë së Punës së Shqipërisë”) and adding a handy bound bookmark to it. I, too, have the books you mention. I wasn’t sure if there were books covering later years that I had missed before the counter revolution. If we work together we can get all the available years on the net. 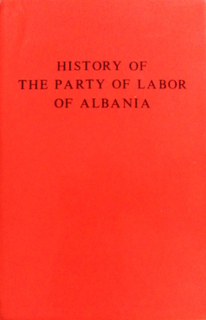 Publication of electronic books “History of the Party of Labor of Albania” (2nd edition) in website http://www.enverhoxha.ru in all major languages ​​will begin in November 2013.